"Gripping…A superb resource for boomers dealing with their parents' final days…as well as for health-care professionals who need to hear this story from the other side." With advances in medicine, technology, and daily diet and exercise practices, Americans are living longer than ever before. We have an unprecedented opportunity for meaningful closure – free of pain, among loved ones, with our affairs in order and spiritual calm attained. Instead, most of us discover that our doctor has minimal training in providing end-of-life care, and will seek to extend life no matter how painful, expensive and futile that effort might be. 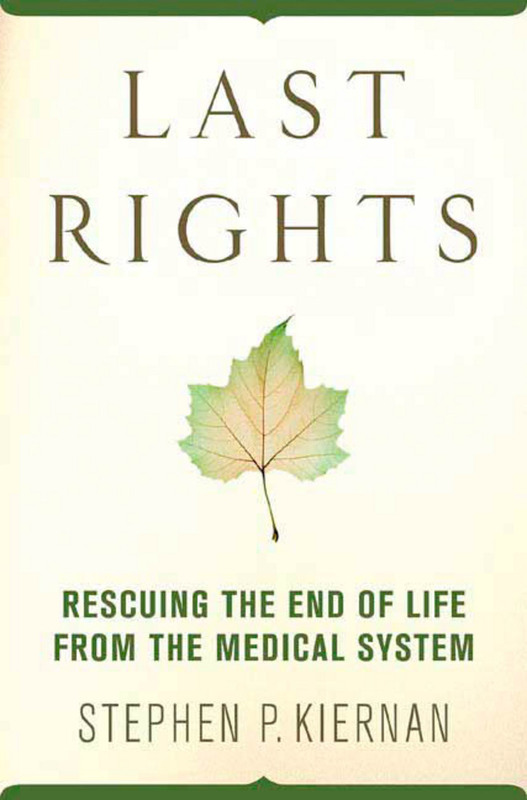 In Last Rights, award-winning journalist Stephen P. Kiernan shows how patients and families can regain control of the dying process, creating familial intimacy like never before. Bolstered by both scientific research and intimate portraits of people from all walks of life, Last Rights offers a hopeful, profound vision for patients, doctors, and families: a way to honor people during their greatest vulnerability, a chance for families to reconnect, an opportunity for the medical system to treat patients with ultimate respect, a time to give comfort and compassion to those we most love. Stephen P. Kiernan is a writer and journalist for the Burlington Free Press. He is the author of The Curiosity, Last Rights and Authentic Patriotism. His numerous awards include the Gerald Loeb Award for Financial Journalism, the Associated Press Managing Editors' Freedom of Information Award, and the George Polk Award. He lives in Charlotte, Vermont.